For years, Students for Life of America (SFLA) has organized students and young people to promote the rights of children in the womb. Its many activities—which I can only begin to list here, but include educational displays, speakers, rallies, direct aid to pregnant and parenting students, and much more—have all taken place under a 501(c)3 umbrella, limiting SFLA's ability to act on legislation. IRS regulations prohibit 501(c)(3) nonprofit organizations from engaging in most political and legislative activities. A (c)(3) nonprofit may not participate in any campaign activity for or against political candidates. It may engage in certain nonpartisan educational and participation activities, such as sponsoring debates and voter registration campaigns. In contrast, IRS regulations allow a 501(c)(4) nonprofit organization to engage in some political and legislative activities. It may lobby for legislation essential to its social welfare mission. 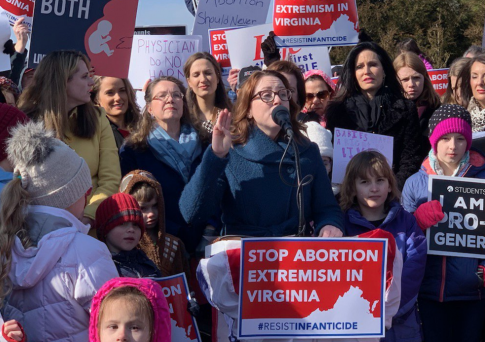 Students for Life Action's first order of business is to lobby against extreme legislation, like that introduced in New York and Virginia, that would permit third-trimester abortions and in some cases imperil babies who are born alive after an attempted abortion.